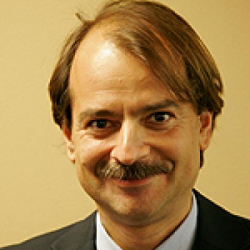 If you are not aware of Prof. John Ioannidis and his work, well, you must have been living buried under the proverbial rock (also known as AIPG/AIIMS papers). He is what people usually call a gadfly. He wrote an article which took the world by storm, and not just for a day or two! He reached what is commonly known in the social media scene a “Bieberian” milestone when his PLoS Medicine paper, titled “Why Most Published Research Findings Are False”, reached a million hits. Yes. You read that right. Between April 2005 and April 2014, his paper achieved this milestone, previously unprecedented in the PLoS stable of journals. The best part about this article is that it causes people to squirm with discomfort (because it makes us wonder whether we have just spent our whole lives running in futile pursuit of our own tails) yet, nobody has risen in arms to “take him down”. It has inspired debate, raised justifiably uncomfortable questions, and taught young researchers like me to unwaveringly honest in our work and assertions thereof. There is an interesting story I read about him in Mary Roach’s “Best Science Writing”, and it was a simple exploration into the question whether ethnicity had any role to play in deciding whether a patient got an appendectomy or not. Reading this story (I am not going to give spoilers) could be the best thing one could hope for as a young doctor starting off on the odd journey through the unpredictable terrains of medical research (equally applicable to other researchers). It taught me how everyday assertions and doubts could be framed in a “verifiable” research question to prise out the answer. This aspect has also come out in another recent read of mine: Dan Ariely’s “Predictably Irrational ”, a book I intend to review once I am done reading the sequel (which I do not like as much!). Possibly the most unexpected corollary is that more popular research fields are less credible. Several people have misunderstood this statement. This corollary holds when scientists work in silos, and each one is trying to outpace the others, finding significance in his/her own results without sharing and combining information. The opposite holds true when scientists join forces to examine the cumulative evidence. Sadly, in most fields the siloed investigator writing grants where he promises that he/she alone will discover something worthy of the Nobel Prize is still the dominant paradigm. This sort of principal investigator culture is a problem, especially for popular fields where the literature is flooded with tens of thousands of irreproducible papers. How true is this! While the whole underlying paradigm to science and research is the dissemination and sharing of ideas and knowledge, it has become quite the opposite in today’s world where everything comes at a price, even collaboration. Anyways. The continuing popularity of Prof. Ioannidis’ article is proof that there is a lot of room to have debates and discuss ideas, even in an age where authorship order and research grant disbursement are decided on more than simple merit. 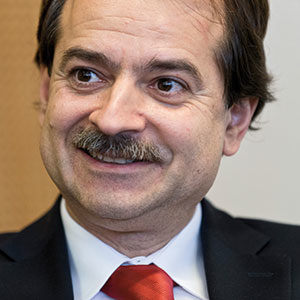 Tags: John Ioannidis, Medical Policy, Medical Publications, Medical Research, PLoS. Bookmark the permalink.